A sign of change, Onda, a "contemporary Mexican restaurant and bar" will open this summer at 548 Main Street, directly across from the long closed Trellis and never opened Nisi. The spot last hosted the final incarnation of Roosevelt Island's bakery, making it one of the first businesses on the commercial strip to surrender to a future in which promise was not yet visible. The pizzeria, the shoe repair shop, the chiropractor followed. But that was all before Southtown, FDR Four Freedoms Park and Cornell Tech revolutionized the community, starting from the south. Recently, David Nasser, owner of Wholesome Factory and Island Wine & Spirits, made a fresh commitment to Main Street with an as yet to be named wine bar set to open at 503 Main, also this summer. Our historic deli has been reborn as Bread & Butter Market. All are evidence that the strip is far from dying. The shell of the radically redesigned Trellis coffee shop lingers unchanged since August, encouraging little new hope for its rebirth as Nisi, an upscale Greek restaurant, and Main Street Sweets went dark last week, forming the middle link in a chain of empty storefronts. The mixed message of failing and emerging businesses signals a transition that's accelerating as newer, fresher alternatives rebuild with innovative ideas better targeted and financed than those that went before. “We are excited to help meet the desire of Roosevelt Island residents for more sit-down dining establishments and a wider diversity of food options,” said Alexandra Kaplan, Associate Project Manager at The Hudson Companies, who is in charge of energizing Roosevelt Island retail. We are, too, and hope Hudson can maintain its current momentum. 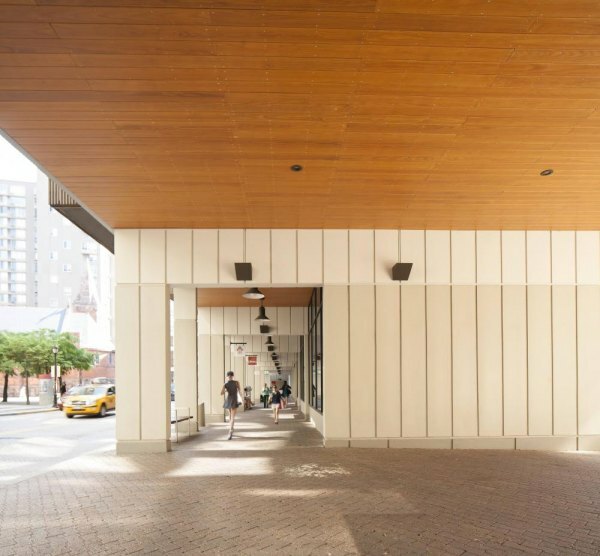 Main Street on Roosevelt Island is changing, as it needs too. After years on a seesaw of closings and openings, it can't happen fast enough.